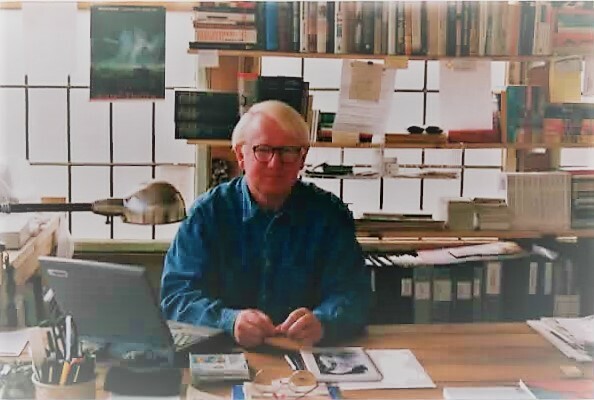 Worked in the Netherlands until 1994 in business, as a design agency partner, and as a communications and design consultant; also editor/contributor of design and art magazines; chair of contemporary art foundations; founder of a poetry festival. Moved to the US in 1994. Traveled for three years (all 21 states west of the Mississippi). Wrote travelogue mainly in Dutch. Settled in Abiquiu, New Mexico in 1997. Wrote: travelogue and essays in Dutch and English; two books of poetry in English; two novels (one in Dutch, one in English); and several screenplays in English. Also co-managed a contemporary art gallery. Co-creator of and contributor to art project Desert Passage. Resettled in Matfield Green, Kansas in 2009. Wrote: essays in English; copy in Dutch and English. Translated: Dutch-English and English-Dutch on art-related subjects. Also was co-manager and/or curator of three contemporary art galleries; co-founder of Matfield Station PrairyArt Path; co-initiator of Point of Departure, an augmented reality art tour; and art editor of four consecutive Field Journals published by the Symphony in the Flint Hills. Resettled in Tomar, Portugal in 2016. Writes essays in English and Dutch about life in contemporary Portugal. Art editor of 2017 Field Journal. Translator (Dutch-English and v.v.). Extensive readings of: American national and regional history; world history (more specifically 1918-1940); international relations; architecture, contemporary art and design.